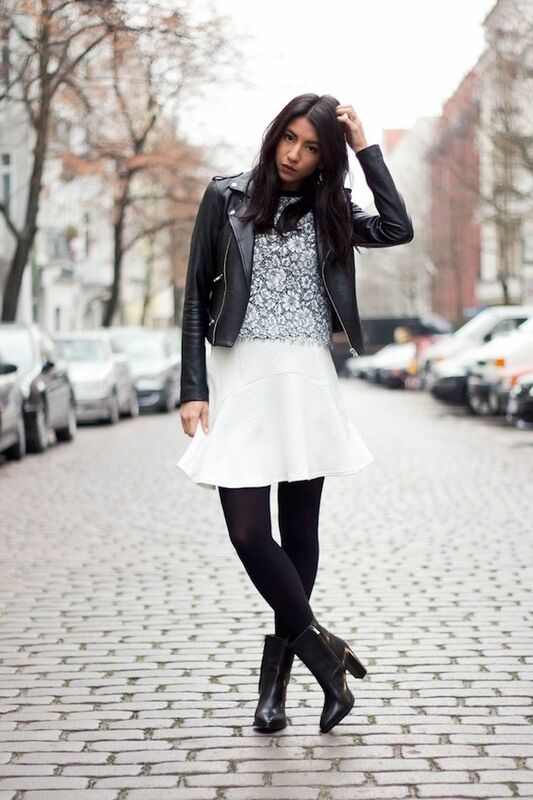 Kayla shows us a great way to wear a skirt in winter. Try with a leather moto jacket, textured top or sweater, thick tights and classic ankle boots. For more warmth add a scarf! Check out my post on WhoWhatWear for more winter skirt inspiration!